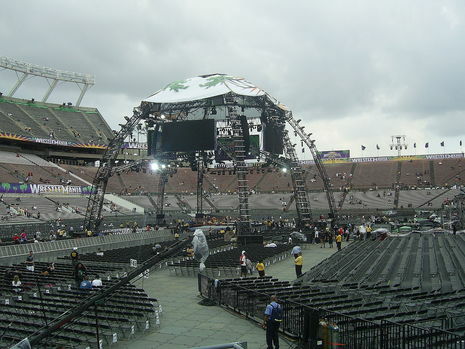 WrestleMania XXIV was a professional wrestling pay-per-view event produced by World Wrestling Entertainment (WWE) that took place on March 30, 2008, at the Citrus Bowl in Orlando, Florida. 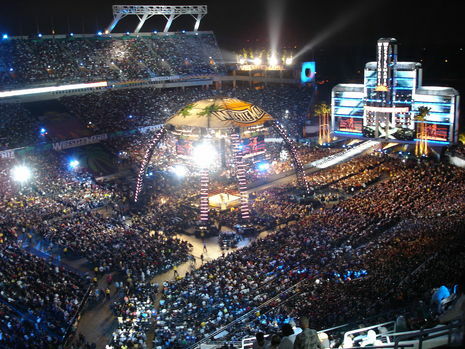 The 24th annual WrestleMania event was the first to be held in the state of Florida, and it was only the second WrestleMania to be held outdoors (the first being WrestleMania IX). Nine professional wrestling matches were scheduled for the event, which featured a supercard, a scheduling of more than one main bout. The first of these matches was a Singles match from the SmackDown brand that featured The Undertaker defeating World Heavyweight Champion Edge to win the title. The second was a Triple Threat match from the Raw brand, in which WWE Champion Randy Orton defeated challengers Triple H and John Cena to retain the championship. The other was a singles match from the ECW brand, in which Kane defeated ECW Champion Chavo Guerrero to win the ECW title. From the six scheduled bouts on the undercard, three received more promotion than the others. 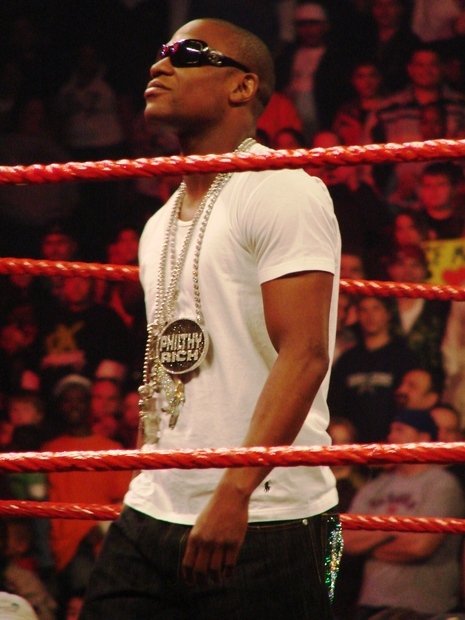 In a No Disqualification match, Floyd Mayweather, Jr. defeated The Big Show. The second match involved wrestlers from all three brands fighting in a Money in the Bank ladder match, which CM Punk won. 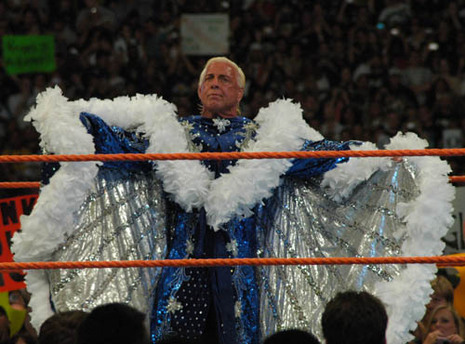 The other match was a Career Threatening match in which Shawn Michaels defeated Ric Flair, resulting in Flair's retirement from professional wrestling. Tickets for the event commenced sale to the public on November 3, 2007. For the second consecutive year, WrestleMania broke the record for the highest-grossing pay-per-view in WWE history, as well as for the Citrus Bowl, grossing US$5.85 million in ticket sales. According to a study by Enigma Research Corporation of Toronto, the Citrus Bowl's record-breaking attendance pumped an estimated $51.5 million – surpassing the projected $25 million – into the local economy and generated $1.8 million in local tax revenue. The Central Florida Sports Commission reported that the event created jobs and brought approximately 60,000 visitors to the city. WWE and the City of Orlando hosted festivities that spanned a five-day period within the central Florida region. Over one million people ordered the event on pay-per-view, grossing $23.8 million in revenue.